Jack Yiu-Bun LEE received his B.Eng. and Ph.D. degrees from the Chinese University of Hong Kong in 1993 and 1997, respectively. He is currently Associate Professor at the Department of Information Engineering, the Chinese University of Hong Kong. 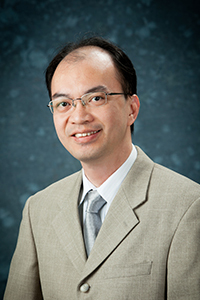 His research group focuses on challenges in multimedia communications systems, mobile communications, protocols, and applications. Jack has been awarded as PI over HK$20M in project funding from UGC, RGC, ITC, as well as industry partners. He was a research track coordinator in the UGC Area-of-Excellence in Information Technology, responsible for the coordination of focused research activities across the three participating universities. He led the establishment of the first gigabit inter-university network testbed in Hong Kong, with industry sponsorship worth over HK$10M, to enable researchers in Hong Kong to conduct leading edge research and experiments in a high-speed network environment. He is also a Co-I of the new UGC Area of Excellence project called the Institute of Network Coding. In applied R&D Jack has successfully completed two ITF projects, one in Internet multimedia and one in IP multicast. He and his team were instrumental to accelerating the adoption of IP multicast in Hong Kong, and in particular, facilitated one of the first IPTV deployment in Hong Kong using IP multicast technologies. He is currently managing two on-going ITF Tier-3 projects, both with strong support from the industry. Jack’s recent R&D projects under CUHK’s Mobile Technologies Centre have also been highly successful. His work in real-time media transcoding has produced the world’s first real-time transcoding solution for mobile 3G networks. A Hong Kong mobile operator subsequently licensed and deployed the technology as a commercial service in Hong Kong and Macau with over one million users. Jack’s work has generated 14 granted and pending US patents. For his R&D work in mobile multimedia technologies Jack was awarded the HKCS Outstanding IT Achiever Awards in IT Research in 2008. From 1997 to 2010 Jack investigated challenges to the design and implementation of scalable and fault-tolerant video streaming systems. His team explored and developed various architectures including parallel servers, multicast streaming, as well as decentralized approaches. This line of research resulted in over 50 publications and 7 US Patents. In addition, the technologies developed have been successfully commercialized, including spinning-off a technology company and multiple licenses to international companies, including a Fortune 500 company. This body of research cumulated into a research monograph titled Scalable Continuous Media Streaming Systems – Architecture, Design, Analysis and Implementation, published by John Wiley & Sons in May 2005. Since 2002 Jack initiated a new line of research to investigate the challenges in the emerging mobile Internet. In particular, his research on real-time content adaptation for mobile networks has attracted substantial funding from both the UGC and the industry. The technologies developed have attracted strong interests from the mobile industry, leading to a successful commercialization and service deployment in Hong Kong in 2007, and then in Macau in 2010. More recently, Jack’s team further developed a new video streaming platform for smartphones which has also been commercialized and deployed in Hong Kong, Macau, as well as Singapore. Since 2007 another new line of research was initiated to investigate the performance of transport and application protocols in wireless and mobile data networks (e.g., satellite, 3G/4G/LTE, WiFi). Through thorough analysis of the limitations of existing protocols and the characterization of wireless/mobile networks, the goal is to explore various approaches to improve the performance of Internet applications over such networks. For satellite communications Jack’s team collaborated with the Japan Aerospace Exploration Agency (JAXA) which enabled the team to conduct experiments over JAXA’s WINDS satellite. For mobile networks the team collaborated with mobile operators in the Asia-Pacific region which enabled the team to test and evaluate protocol optimizations over real-world production networks. The developed technologies have attracted strong interests from the industry, with field trials being conducted by several mobile operators in the region. Ke Liu and Jack Y. B. Lee, "Improving TCP Performance over Mobile Data Networks with Opportunistic Retransmission," IEEE Wireless Communications and Networking Conference (WCNC 2013), Shanghai, China, April 7-10, 2013. C. F. Chan and Jack Y. B. Lee, "A Novel Link Buffer Size Estimation Algorithm for Bandwidth-Varying Mobile Data Networks," Proc. 7th IEEE International Conference on Wireless and Mobile Computing, Networking and Communications (WiMob 2011), Shanghai, China, October 10-12, 2011. Ke Liu and Jack Y. B. Lee, "Mobile Accelerator: A New Approach to Improve TCP Performance in Mobile Data Networks," Proc. 7th IEEE International Wireless Communications and Mobile Computing Conference (IWCMC 2011), Istanbul, Turkey, July 5-8, 2011. Jack Y. B. Lee, Peter T. S. Yum, W. S. Wan, "TCP-SuperCharger: A New Approach to High-Throughput Satellite Data Transfer," 27th ISTS Special Issue of the Transaction of JSASS, Aerospace Technology Japan, Mar 2011.